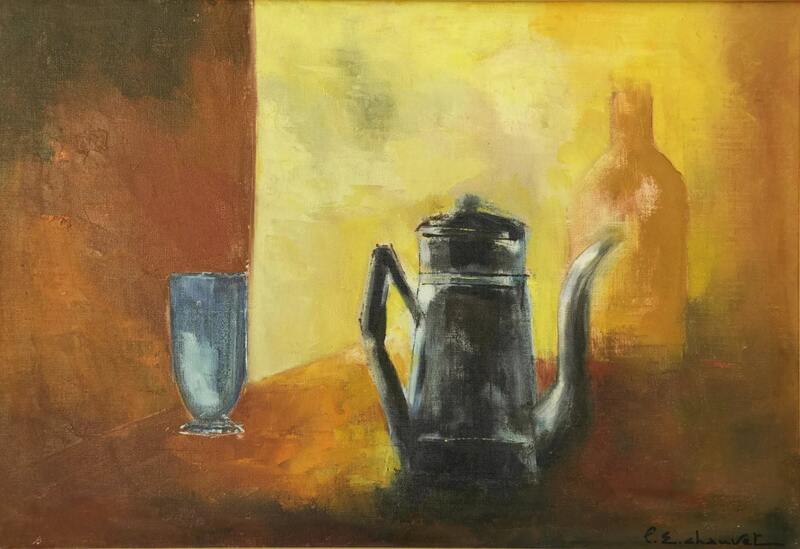 French Coffee Pot Still Life Oil Painting by Pierre Chauvet. Modern Art. Coffee Shop Art. Dining Room Decor. Vintage French Kitchen Art. A large, original still life painting by French artist Pierre Eugene Chauvet (1921 - 2004). The work has been entitled "The Blue Coffee Pot" and has been painted in oil paints on stretched canvas. 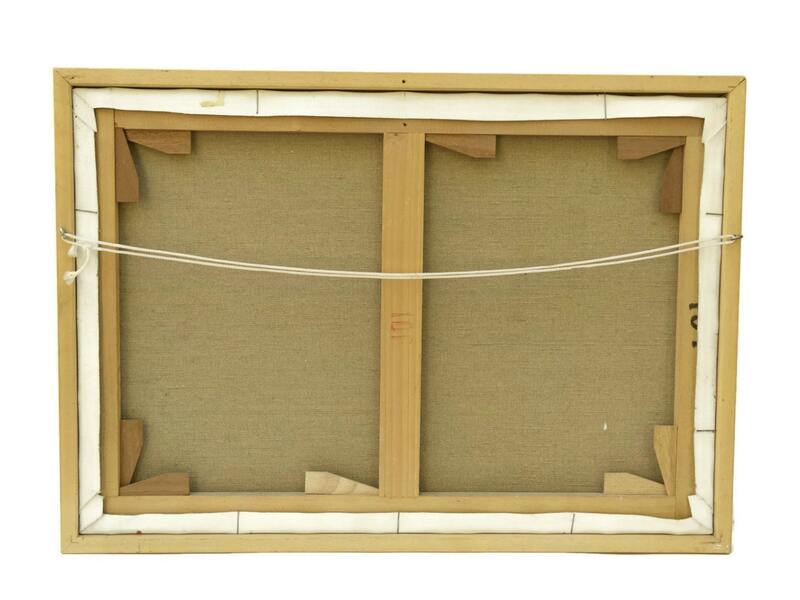 The painting has been framed in an understated wooden frame and signed by the artist. It is ready for hanging. 23" Wide x 16 1/2" Tall (58,5 cm x 42 cm). 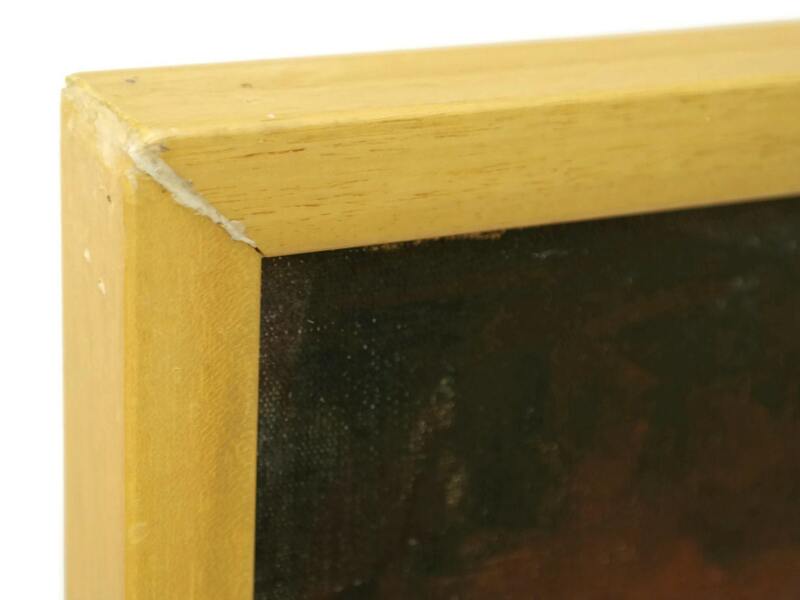 The frame is approximately 1/2" wide (1 cm). 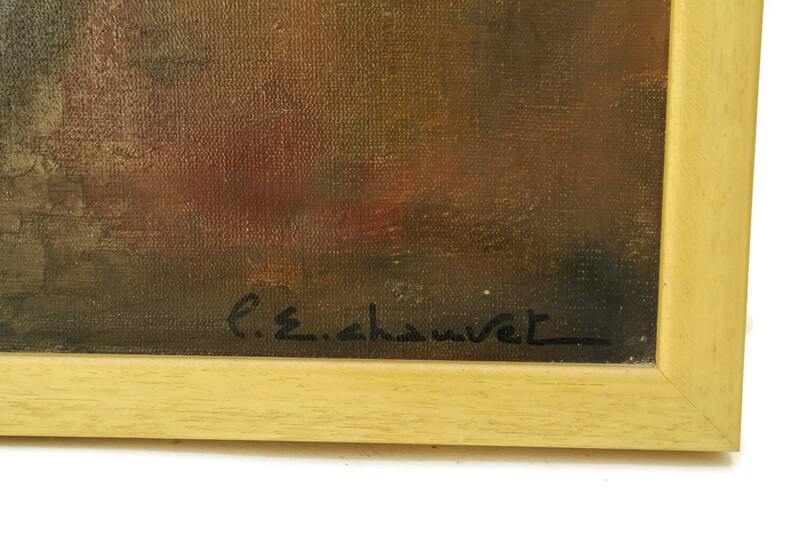 The framed oil painting painting is in very good condition with signs of wear to the frame in places including a repair to one corner join. 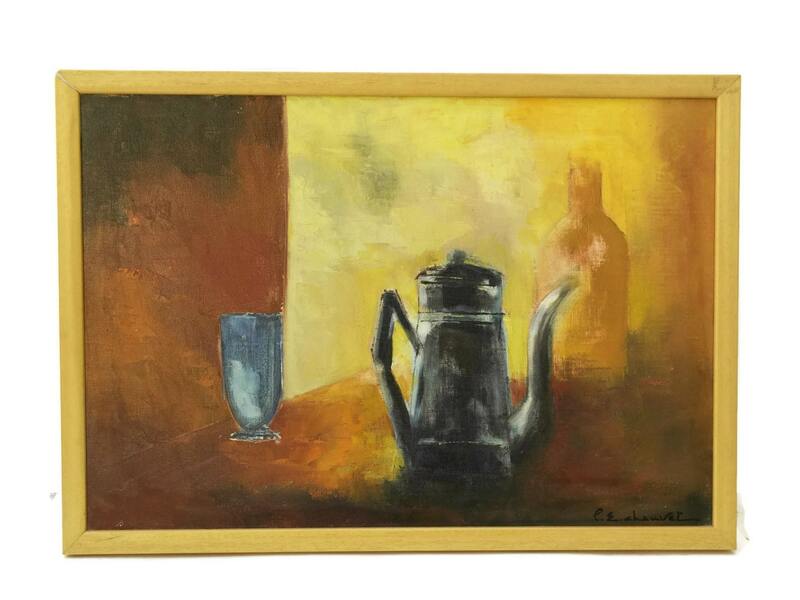 Item ref: French Coffee Pot Still Life Oil Painting by Pierre Chauvet. Modern Art. Coffee Shop Art. Dining Room Decor. Vintage French Kitchen Art.